Shockwaves from the launch of Napster in 1999 are still being felt by the music industry right up to Apple’s acquisition of Lala in 2009 and beyond. The difficulties faced by an industry trying to rely upon a previously buoyant CD market in the face of all things digital is described by Mark Mulligan as part of Forrester’s Mobile Trends Review. Labels fail to recognise what Napster represents and steadfastly refuse to licence content to similar providers such as MP3.com on the assumption that the digital irritant will disappear and normal service will be resumed. Digital advocates within the majors encouraged the licensing of content to services such as Rhapsody, but in the face of rising MP3 downloads, the official services were severely limited by the assertion that digital purchases must be ‘tethered’ to specific PCs. 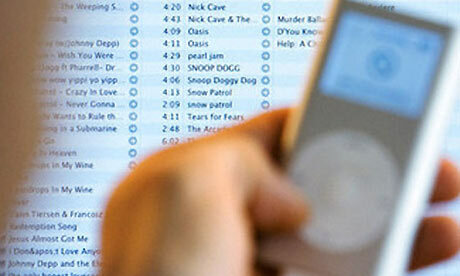 The arrival of the iPod and its accompanying iTunes store transformed the official digital music market overnight. However, with recovery seemingly in sight, P2P networks continued to thrive and official digital revenues failed to offset the decline in CD sales. We now have a music industry prepared to make the very decisions it veered away from at the start of the decade. In particular, the licensing of content to the likes of Spotify. Mulligan concludes that what might still appear to look like desparation might simply be recognition that the evolution being undergone by the music industry is still far from complete.